Lead Stereographer Florian Maier received another Lumiere Award for “Hansel & Gretel: Witch Hunters”. The movie was chosen to be the “Best 3D Feature” 2013 at the I3DS Europe Awards. STEREOTEC was providing equipment and 3D crew for shooting the Paramount production. The movie was a worldwide success with more than 225 Mio USD earned at the Box Office. 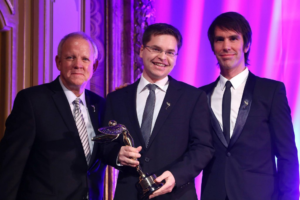 Stereotec receives Lumiere Award for "Call her Lotte"